April 16, 2013 by Ellen H.
#87 on the list is one that goes well with picnicking on the Lawn. While you are enjoying a beautiful UVA day, munching on your Bodo’s or Take-It-Away, and making memories with your fellow wahoos, be sure to check out the 21 box to provide hours of entertainment. Many students are unaware of this service to the University, but I love it because it is just so indicative of the UVA tradition. Provided by the 21 Society, this box of goodies reminds us of the secret society culture on grounds, and the philanthropic nature of these groups. 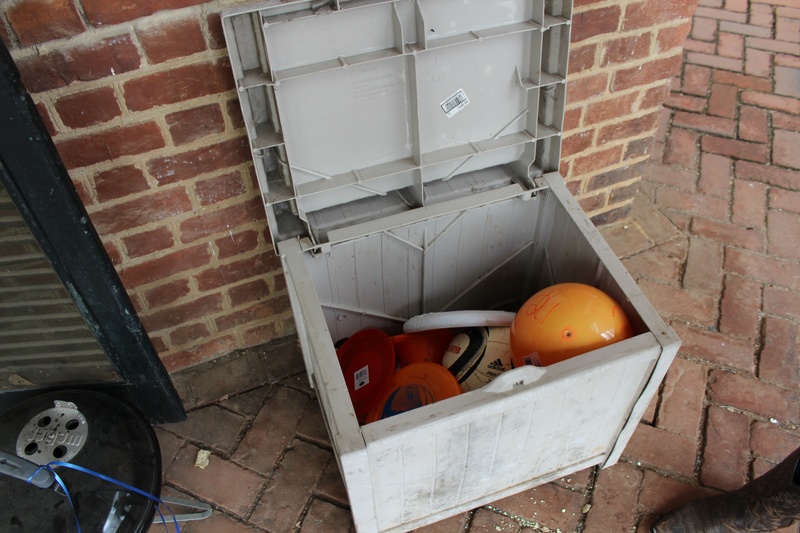 The box can be found outside Lawn Room 21 and is filled with frisbees, games, and balls that are there for anyone to use. 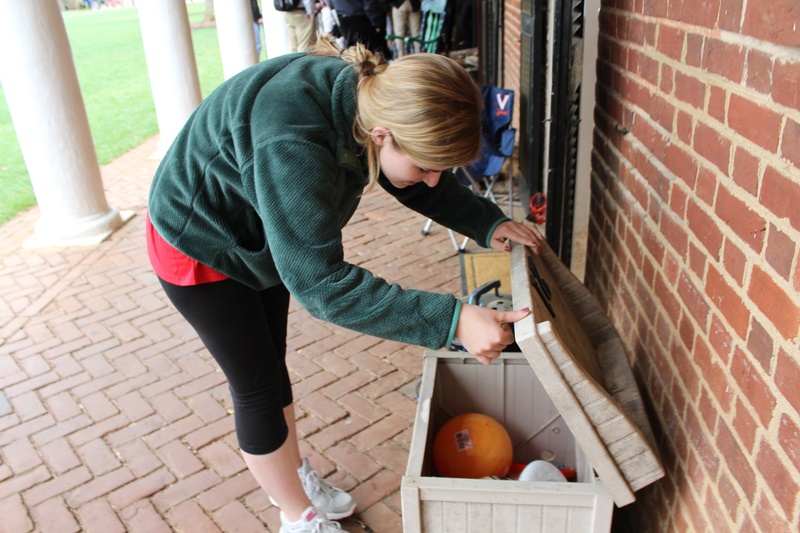 This service can exist because of the tradition of honor on grounds, as students are on their honor to return the items to their proper place after playing with them. 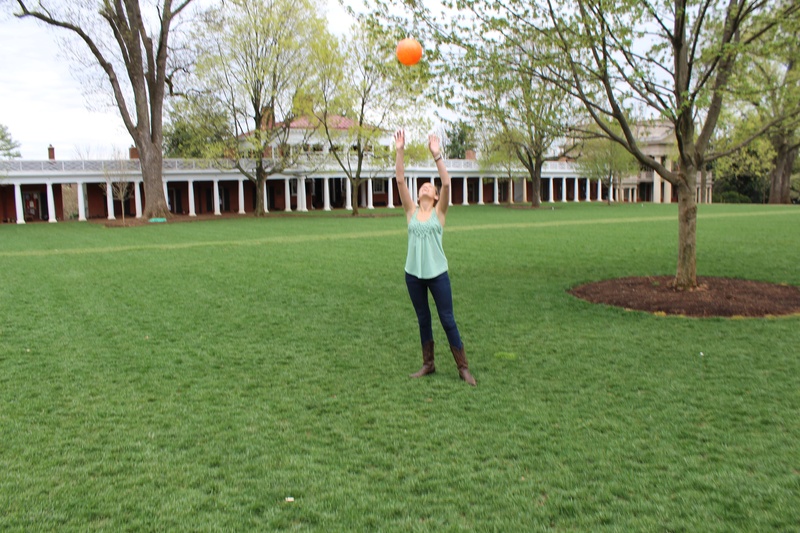 Today, fellow 4th year student Brooke Schuler and I took the opportunity to relieve some end-of-the-semester stress and enjoyed a college-style recess between classes thanks to the orange activities we found in the 21 box. 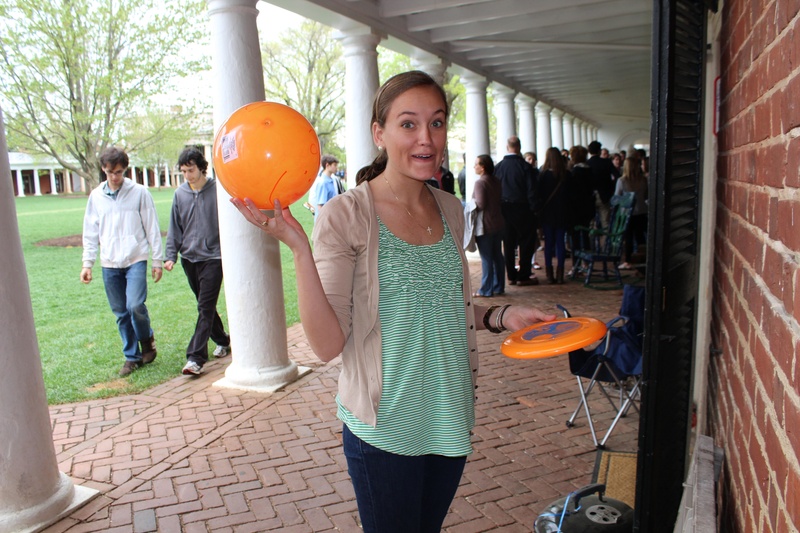 Frisbees are always a popular choice on the Lawn and kept us laughing at and running after a few poorly-aimed throws. We had the most fun with the kick ball we found, however, alternately volleying and kicking the ball back and forth, and playing a game that tested how long we could keep the ball in the air. Our objective? Keep the ball going back and forth 21 times, of course. 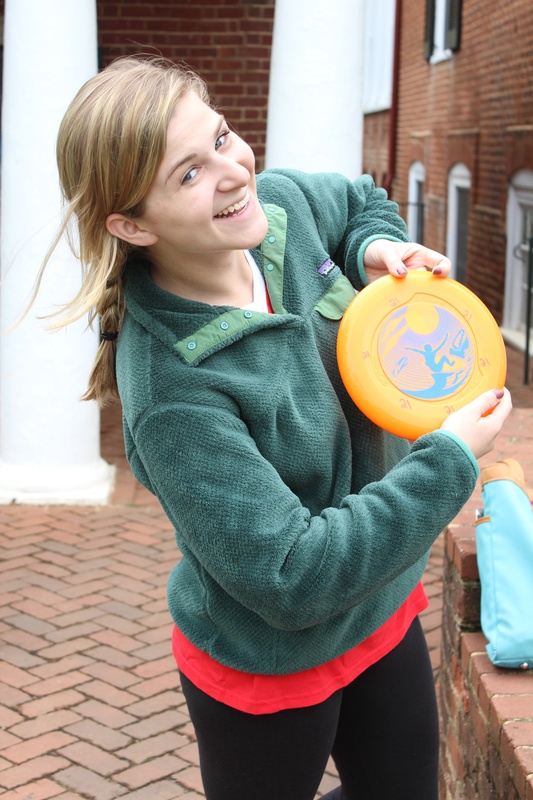 So next time you are walking down West Lawn, be sure to take a moment to stop at the 21 box and take the time to throw a frisbee on the Lawn. You won’t regret it. Wow, I never realized how much fun you can have for free on the Lawn! Y’all look like you’re having so much fun. 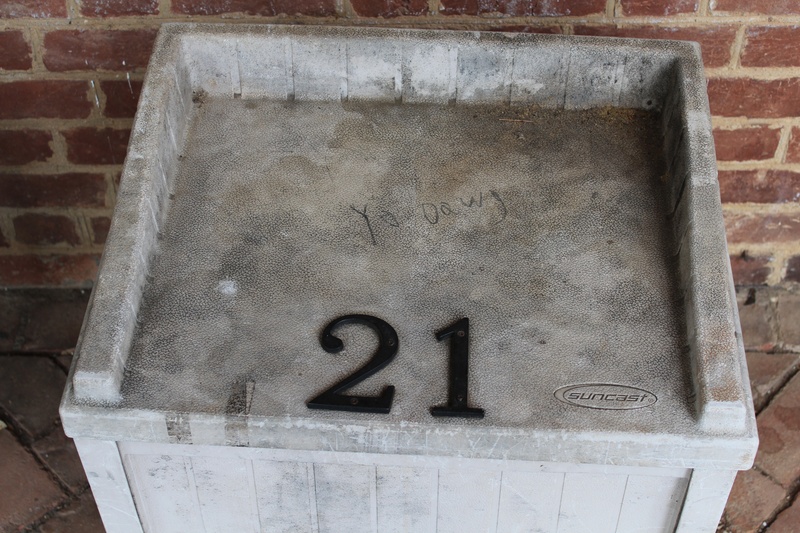 I’m going to try to get my friends to be as fun as you are by using the 21 box!